The Sparco S-Patch hat features our signature Sparco Seal logo on an embroidered patch. 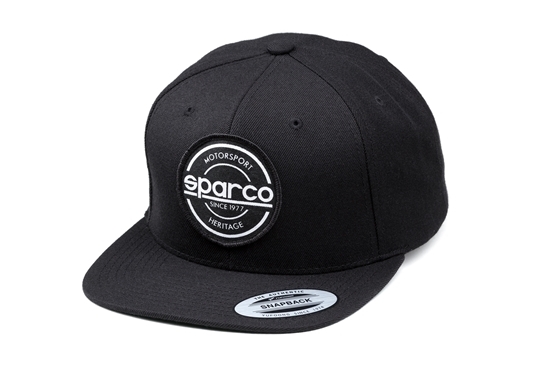 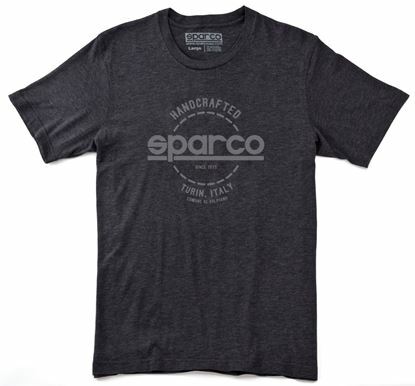 The Sparco S-Patch features an adjustable snap back fitment. 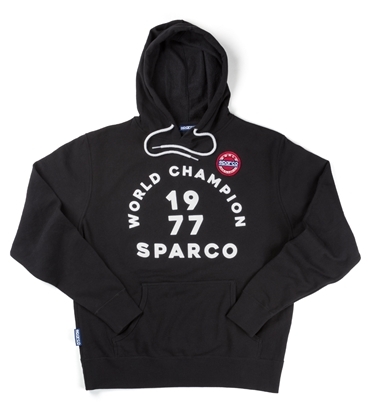 The 1977 is an ultra-soft hoodie made from a Poly blend and features a white silk screen print with an embroidered Sparco Champion patch.